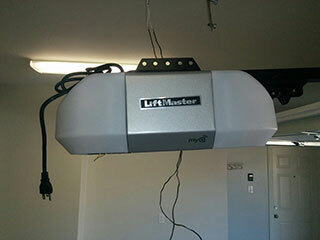 The ever-growing garage door opener industry hasn't stopped progressing. These devices are not just the means for opening your garage door automatically, but also the units that can add an enhanced form of security to your home. There is a great variety of manufacturers out there, each with their own series and models, and special safety and security features, such as LiftMaster's Security Plus and the Genie Intellicode, for example. What's The Difference Between Them All? The main distinction of electric openers is the horsepower of their motors and the drive system they employ. The usual horsepower required for average residential doors is ½ hp but depending on the size and weight of the door, consumers can also find motors with ¾ or even 1 full horsepower. The good thing is that new models are manufactured in compliance with the UL 325 regulations and so they contain a safety reversal feature that is designed to prevent them from hitting any person or object that gets in their path. The weight and size of the door is the determinant factor when choosing the type of opener you need. Chain-drive units are the most common ones, as they also tend to be the cheapest and most powerful option. However, their main downside is that they can be quite noisy, and may not be the optimal choice for homeowners with a bedroom next to their garage. The belt-drive models are quite similar to the ones who use a chain in terms of their operation, but because they use a belt they are far quieter, and can be virtually silent. They are also more expensive, so that is something to consider. Last but certainly not least we have the screw-drive openers. Units of this type can be quite strong and will require very little maintenance, so they are often favored for being a happy medium. Even if you choose an opener from a highly reputable brand, some accidents can be inevitable. The potential for malfunction can be greatly reduced with some regular maintenance of course, which is something that our team can certainly provide. However, due to the many moving parts of these motorized units, when something goes wrong, you'll need to have a technician take care of it. Our team can replace motor gears that have become worn and repair circuit boards whose wires become detached or even fried. If you're looking to add some special upgrades to your opener, such as a backup battery system, for example, or are looking to get a new one with all the latest features, then we can help. Contact our experts at Garage Door Repair Las Vegas for any opener-related need you may have.